Forget what your teacher said. You don't need a diploma to become a doctor, a pilot or a government official. You don't need to be of royal descendant to claim the throne. All you need is some creativity and self confidence. Or so at least these people thought. And so did their victims. Here are a few of the greatest imposters in recent history (yes, recent history only, so no Jeanne d'Arc here). Yes, you've read that well. This guy managed to earn loads of money by selling the Eiffel Tower as scrap metal. When France was recovering from the World War I, the city of Paris was in huge financial debt and there was no money to maintain the Eiffel Tower. Besides, the Eiffel Tower was only built for the 1889 Paris Expo and was never meant to stay. In fact, the City of Paris planned to demolish the Eiffel Tower in 1909, but didn't as the tower proved itself to be valuable for communication technology and in 1914, a radio transmitter in the top of the tower made German communications impossible. However, after WWI, it became difficult for the local Paris government to pay the maintenance of the tower, which was in very bad condition. Victor Lustig managed to impose as a government official when he invited six scrap metal dealers and offered them the Eiffel Tower as scrap metal. The tower was to be taken down by the highest bidder. One of the scrap metal dealers was Andre Poisson, to whome Lustig managed to sell the Eiffel Tower for an unknown, but large amount of money. And the greatest part: he never got caught, as Poisson was so embarrassed, that he never went to the police. However, the big mistake was that Lustig didn't get enough of it. A month later, he thought he could do the same trick again. He invited six new scrap dealers and sold the Eiffel Tower again, but this time, his victim did report it to the police and Lustig had to flee to America. He did however manage never to be caught. Not for that, anyway. In 1935 he was arrested for producing counterfeit money. The story of this man is legend. They even made a film about him. He started making "some" money (thousands of American dollars, but for him that later turned out to be only little cash) by forging and duplicating cheques. He also stole money by stealing it from unmanned deposit units, which were in that time nothing more than secured letter boxes. At the age of 16, he decided to become a pilot. Not for real, of course. He managed to buy a real pilot suit and used it to get over 250 free flights and stayed at hotels paid by the airline company he supposedly worked for. The airline company however, eventually reported this and the fact that Abagnale cashed false paycheques from the same company, to the police. 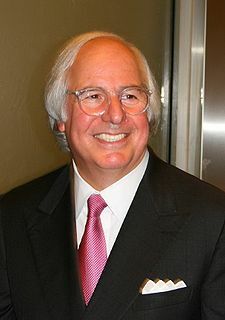 It was for this reason that Abagnale decided that he was now a doctor. Luckily, he didn't perform any actual medical operations, but he did work at a hospital as a supervisor of resident interns, although he let all his interns do the work. After no less than nine months, he realised that him working as a doctor while not actually being qualified for such, could bring people in serious danger. It would be much safer to be an attorney. He forged a law transcript from Harvard University, but ended up to be a colleague of an actual Harvard graduate, who sensed something was wrong. After eight months, he had to quit his job. He was eventually arrested in 1969 and sentenced to prison. He spent 6 months in jail in France, 6 months in Sweden and 4 years in the USA, before he started to work for the FBI. Another man whose life was turned into a film. Unsatisfied with his life, he decided to join a monastery at the age of 16. Four years later, he joined the military, but was unhappy there. He managed to escape it by faking his own suicide, but was arrested for desertion by the FBI. After his 18 months of prison, he imposed as Joseph Cyr, a young doctor whom he met earlier, and joined the Canadian army as a doctor on board the HMCS Cayuga, during the Korean War. When sixteen Korean combat casualties were brought on board, they needed immediate surgery or they would die. Demara ordered the ship's crew to prepare the patients for surgery and meanwhile escaped to his cabin to read text books on surgery as quick as he could. He indeed managed to save the patients' lives, but his heroic actions ended up in a Canadian newspaper, which was read by the mother of the real Joseph Cyr, who knew her son could not possibly be on board that ship as he was actually in Grand Falls, New Brunswick. Since his actions were concidered heroic, he was never arrested. Born in Latvia in 1905 from German parents, Harry Domela moved to Germany after World War I. Germany recently became a republic and many German nobles were stripped from their titles. His original intention was to mingle with these ex-nobles and present himself as Prince Lieven of Latvia. The German aristocrats however, saw a resemblance between him and Wilhelm von Hohenzollern, grandson of the deposed Emperor of Germany and Hungary. Domela used their confusion to impose as the air to the German throne incognito. He never actually received money for this, but he did travel across Germany and was entertained, all on the efforts of pro-monarchy dignitaries and businessmen. When he reached the papers however, he was arrested in 1927 and spent seven months in jail. A film was made based on this story. Or actually, he made the film himself. In the 1927 film The False Prince, he played himself and he also played himself in a theatre play. He sued the actor who was to play him in another theatre, but lost that lawsuit. His life as an imposter however was far from over. In 1933, he took the false identity of Victor Zsajka and moved to the Netherlands, before leaving for Spain to join the Spanish Republican Forces in the Spanish civil war. After that, he moved to Belgium and France before leaving for Mexico and then Venezuela, where he became a teacher.